Being an affiliate in the internet marketing business can be tough. It is often a long, lonely journey. Staying motivated is an important part of moving your business forward. 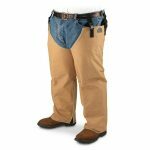 I have searched the Internet and found 10 of the best articles, and forum discussions about big successes in the Amazon.com Associates program that are sure to keep you motivated. This article is written by Darren Rowse the owner of the huge site ProBlogger.net Follow along as Darren explains how he went from making around $0.30 a day on ProBlogger and his photography site in 2003 to earning over $420,000 since then. Darren gives 20 tips on how to increase your earnings and also includes another 10 bonus tips at the bottom. Now surely you have been told before how to increase your earnings, but these tips are actionable and you are shown real life examples. What is even more important Darren is not trying to sell you anything, it is simply amazing information! And now an article from Scotland! – Written by David McSweeney this massive post comes in at over 4,500 words. Follow along as David explains how he went from $0 a month earnings to $3,934 in just six months. I love this article because David is not trying to sell you anything and he uses all white-hat techniques. He goes into great detail on how each month went, and to be honest makes everything look very easy. 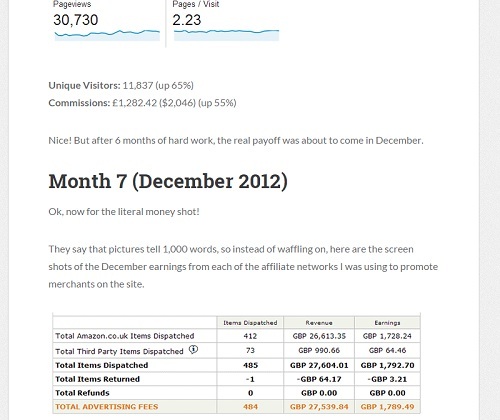 Written by Stuart Walker this article summarizes the immense success of ThisIsWhyImBroke.com. This is not your typical success story as it is not written by the owner of the successful site by it is still a very motivating read. If you vist ThisIsWhyImBroke.com you will notice the very simple layout and incredible amount of social features. Read along as Stuart breaks down what makes TIWIB so very successful. 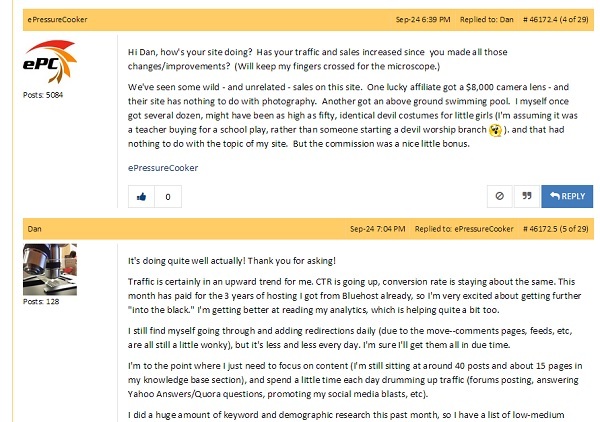 This niche website experiment written by Nick LeRoy takes a few unexpected twists and turns. 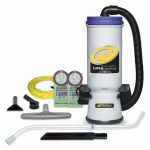 The challenge starts with Nick announcing BestCanisterVacuums.net as the website he will be focusing on. Sadly Nick was kicked out of the associates program because he along with other Minnesota affiliates needed to be removed because of sales tax legislation. This is a sad end for a promising challenge but there are still a number of motivating posts to be read. This is a motivating discussion on the Amazon Associates message board. The question “What is your best surprise item sold?” It is exciting to see some big dollar sales. Most of the high dollar items that are referred are in product categories that are not being promoted by the commenter. Make sure to read through the whole discussion, it can really get your brain going on the potential of Amazon Associates. This post by Kent Chow is short and sweet, but it does have some helpful tips, and I sure do love motivating pictures showing actual sales figures. 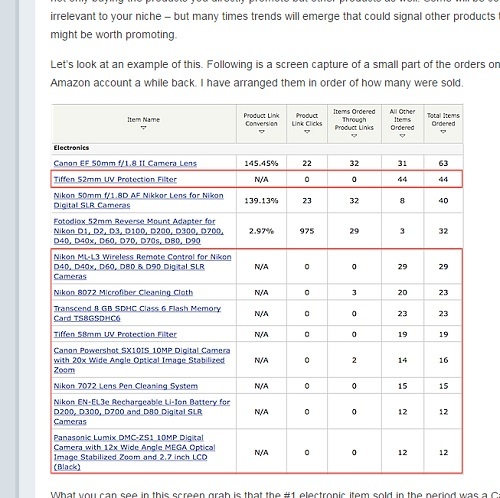 An older but still motivating WarriorForum discussion from 2011 features “ICCGAMES” and screencaps of his Amazon Associates account. With an amazing conversion rate of 21% ICCGAMES racks up almost $3000 in commissions in the first 20 days of December. While ICCGAMES does not go into too much detail in the discussion it is still quite motivating seeing those numbers. Make sure to read through the whole discussion. 8: $90,336.65 in Two Years! This is the second article from EntrepreneurBoost.com. This article is written by the owner Chris Guthrie and it explains and shows how he made $90,336.65 in two years. 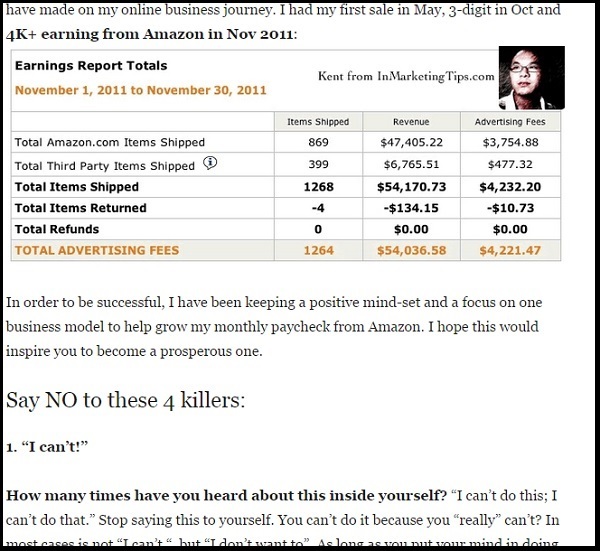 A couple of the tips in the article are promoting his own internet marketing products. 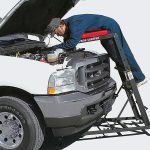 However the rest of the tips are all very helpful, and you do not need to buy anything to implement them. Follow Dorin Andrei as he builds a site around his passion for fish tanks. 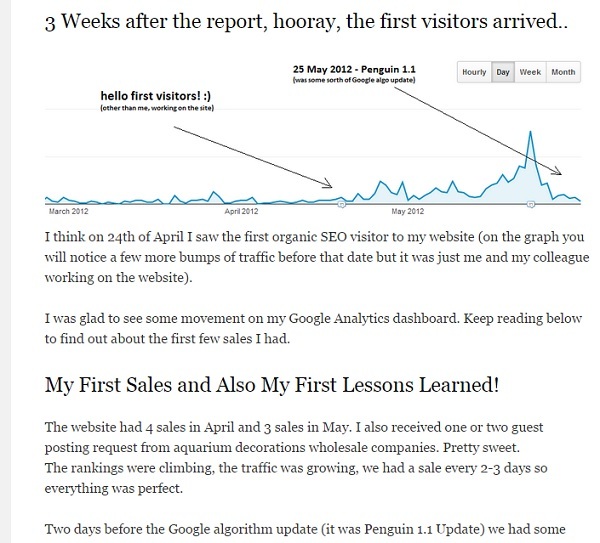 Read about what got him motivated to start building an Amazon site, and why it took so long for him to start getting traffic. You can also read what caused his rankings to crash after a Google update, and how that roadblock motivated him to make the site better. What I loved most about this post was the 21 tips on how to create a better Amazon site, so much important information is highlighted. It is is also important to note that Dorin is not trying to sell you anything with his post, it is simply motivating content with a number of helpful tips. Written by Dave Nicosia you can join in as he challenges himself to go from $50 a month to $600 a month in just five months. 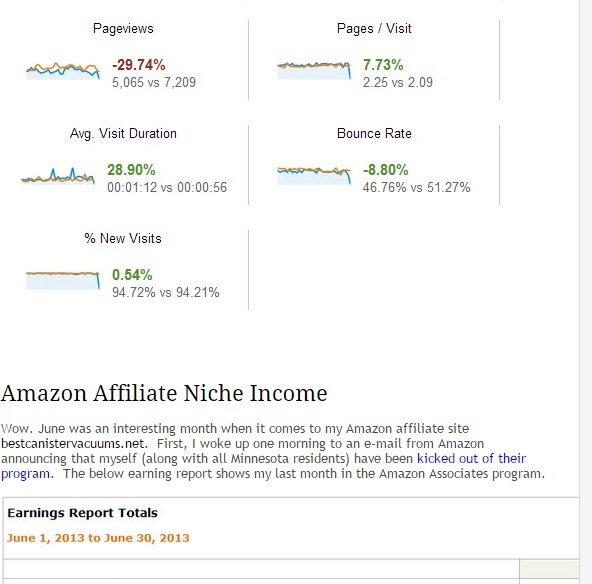 Using four sites he chronicles his journey of increasing revenue using Amazon Associates. **Warning** I will be summing up his results and if you don’t want the outcome of his challenge spoiled, I suggest you go to his site now and read each challenge post. Results: Dave surpassed his goal a month early. 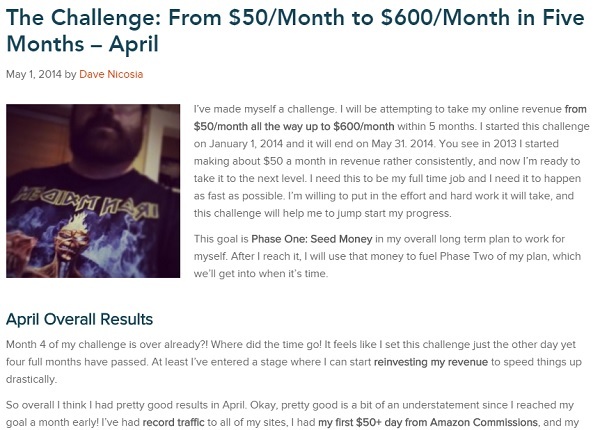 It is impressive to see a guy who was struggling to make $50 a month increase revenue to over $600 in just a few short months. There are 6 posts in his challenge series and I recommend you read through all of them, they are quite motivating. 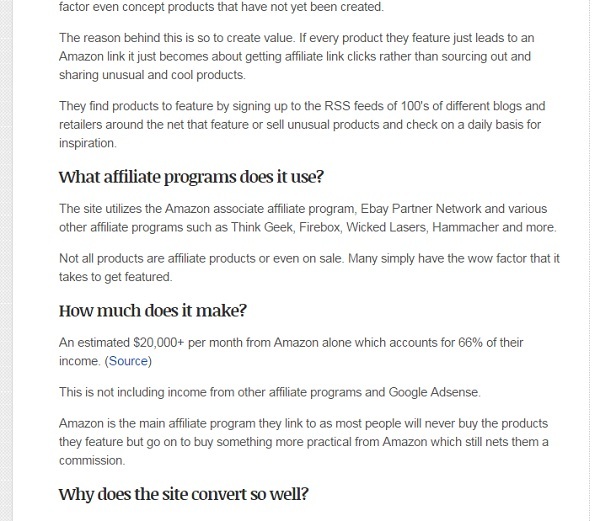 If you are looking for a way to increase your Amazon affiliate program earnings I recommend EasyAzon. 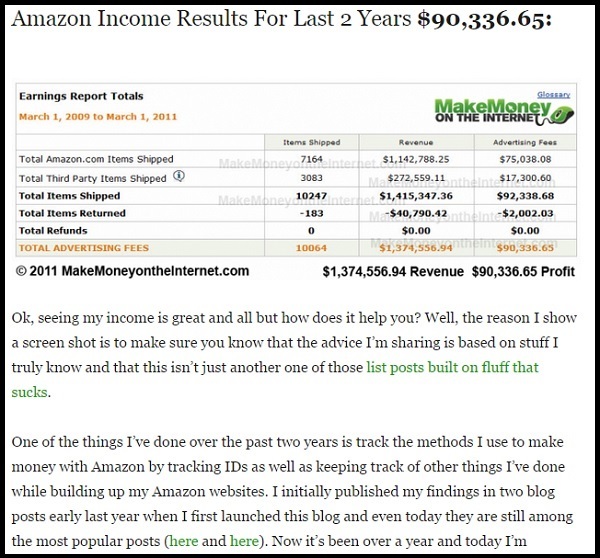 It is a great program that makes linking to Amazon much easier, and includes a lot of helpful earning tips! Hey Matt – thanks for including me in your roundup! 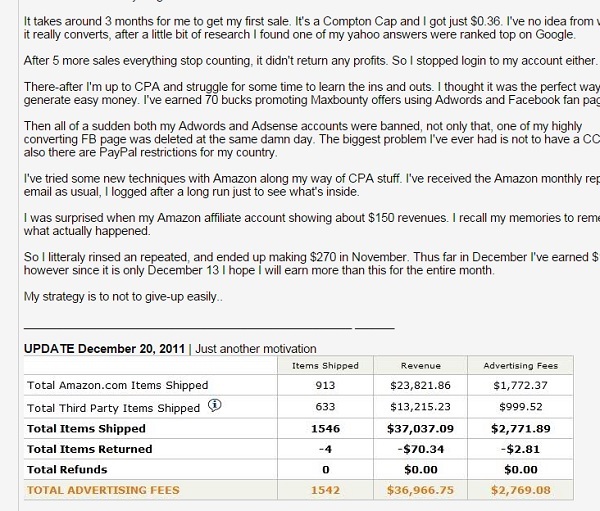 Hopefully my story will help others struggling with making money online through the Amazon Affiliate Program. It’s definitely not easy – and sticking with it “no matter what” is key. It’s been a long journey for me so far but I’m just getting started! I normally wouldn’t even mention this here, but I’m releasing a new Amazon Affiliate WordPress theme to the public this week. It’s a design based off of my successful website in my case study you talk about above. Basically, since my site was so successful, I wanted to share what I was doing with all of you. My name links to my theme website for anybody interested. 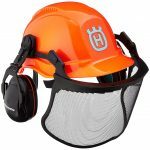 I use the Associates Program and its not too hard to get some sales you just have to have some good blogs about stuff thats relevant to hot items and products and also just have a good blog that will keep readers coming back.